Let's face it, there really is no other feeling that comes close to laying out those big long surfy carves in the pow and nailing those high speed lay outs on fresh corduroy. With that in mind we sat down and came up with what we believe to be one of the coolest and most enjoyable surf inspired snowboards we've ever designed. Let&apos;s face it, there really is no other feeling that comes close to laying out those big long surfy carves in the pow and nailing those high speed lay outs on fresh corduroy. With that in mind we sat down and came up with what we believe to be one of the coolest and most enjoyable surf inspired snowboards we&apos;ve ever designed. 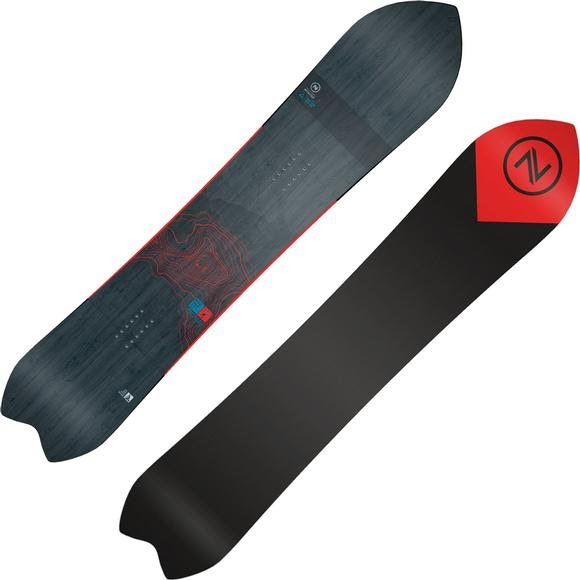 Using some of our original Nidecker outlines from the past, but integrating them with the most high-tech manufacturing available, we believe we&apos;ve come up with an incredible board that finally blurs that line between riding mountains and catching the perfect wave.